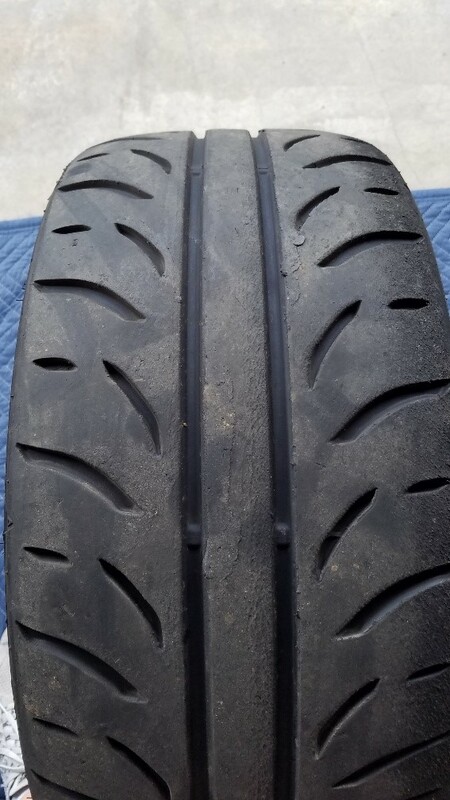 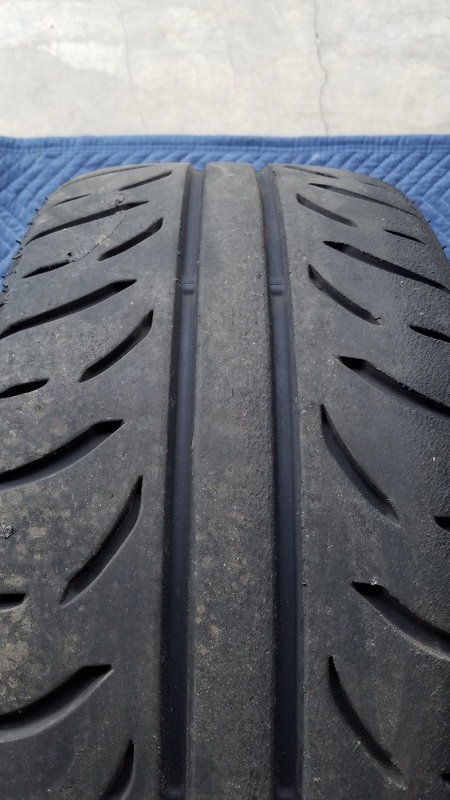 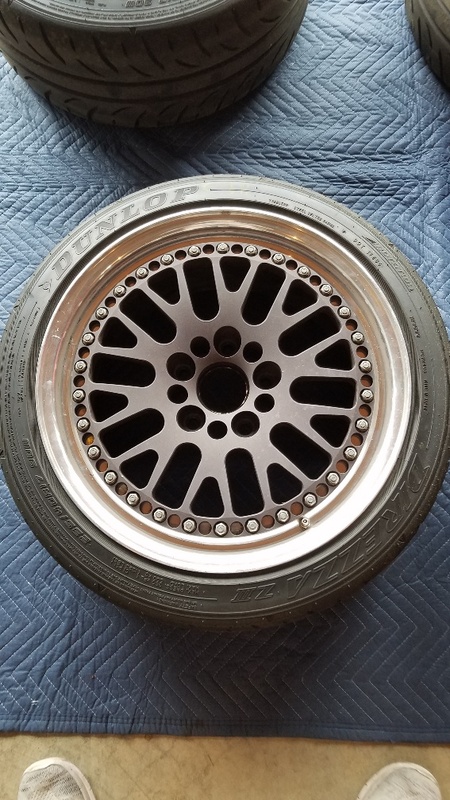 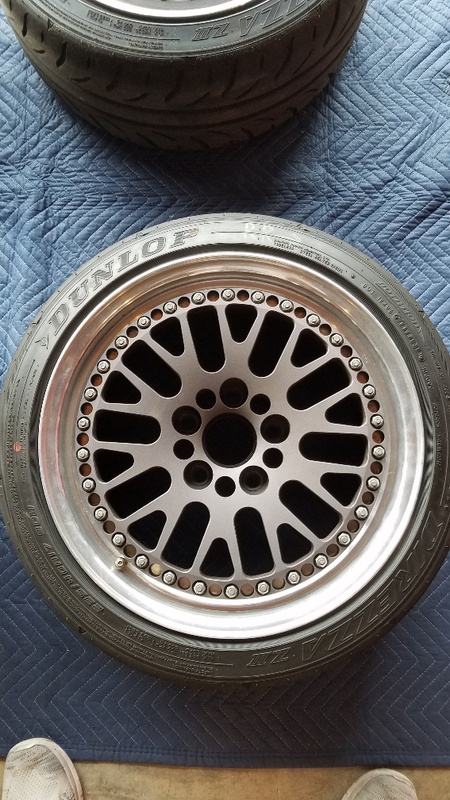 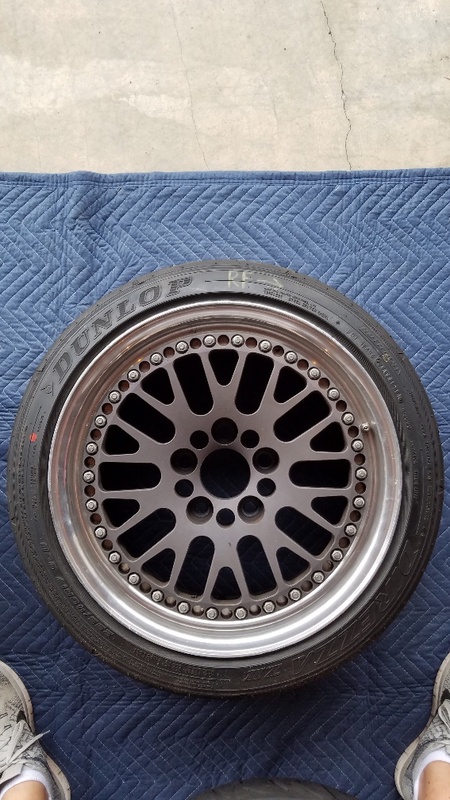 CCW Classic Race wheels and Dunlop Direzza ZIII tires for sale. 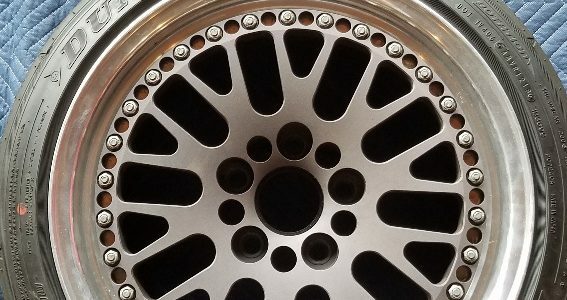 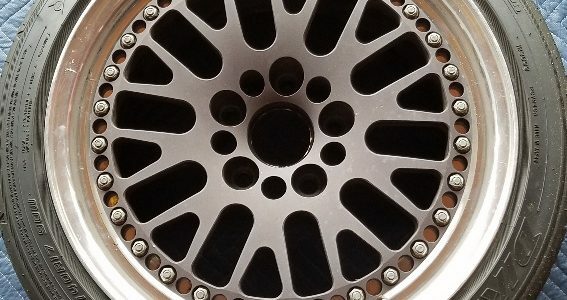 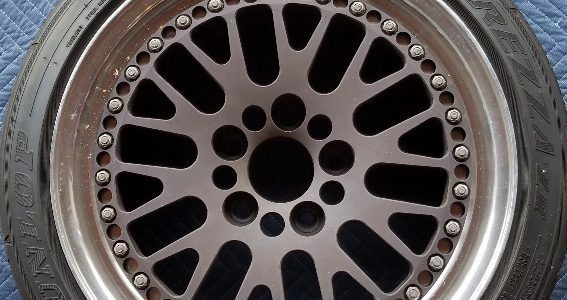 Wheels are 17×9 +42 (5×120). 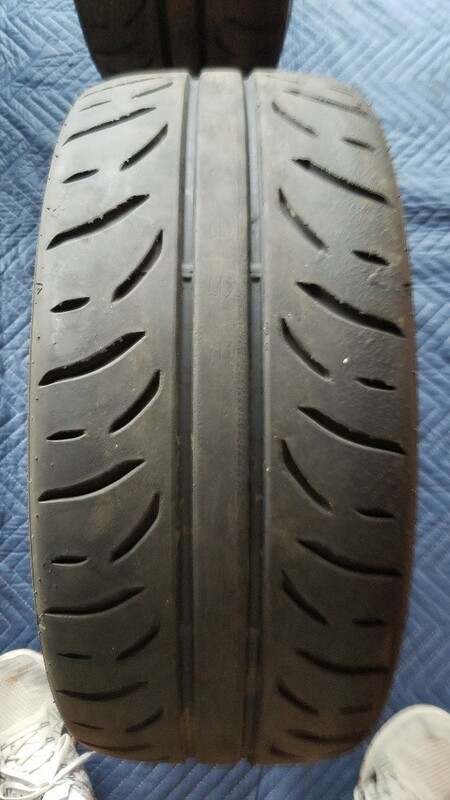 Tires are 235/40R17. 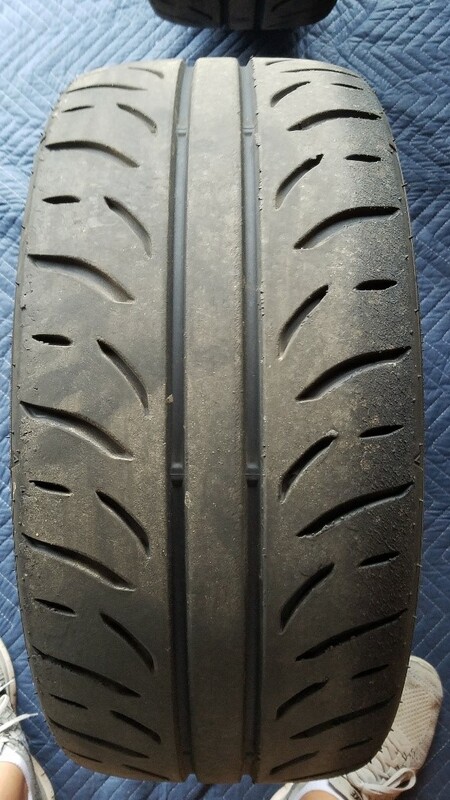 Used in one HPDE day. 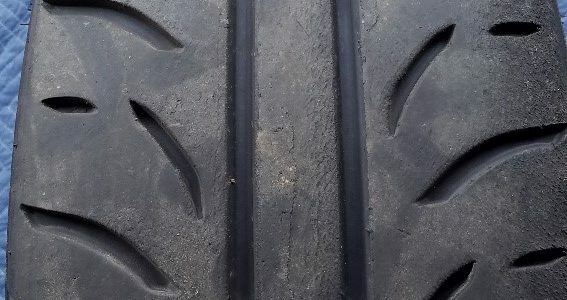 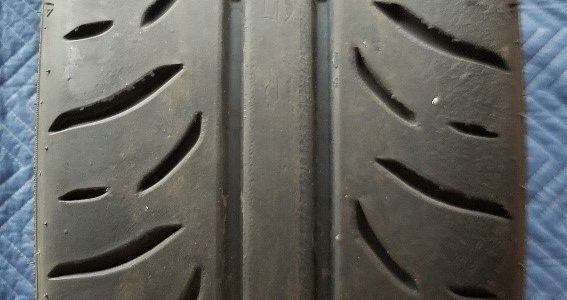 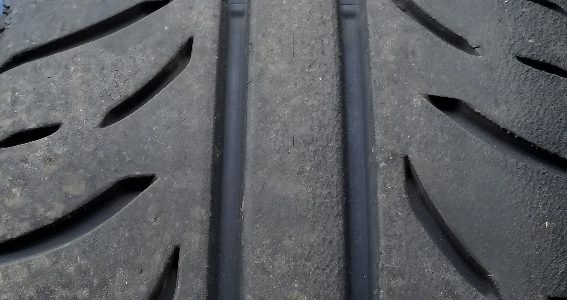 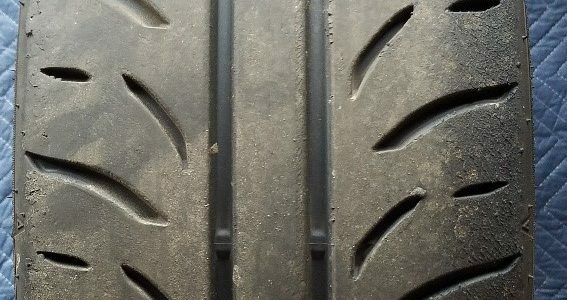 Tires have four heat cycles in them. 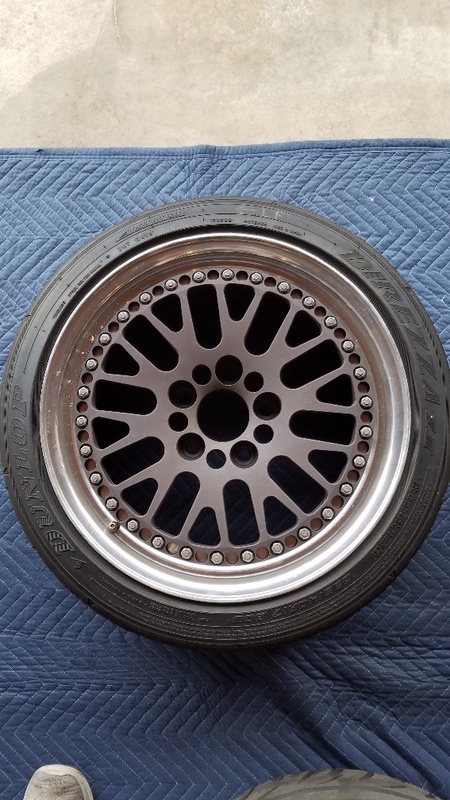 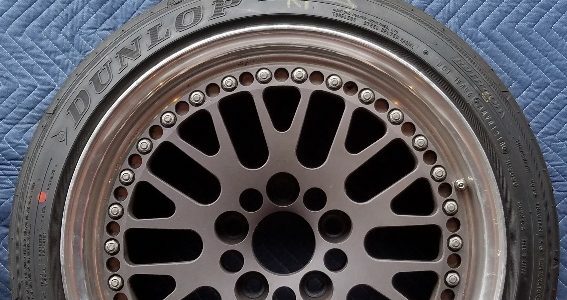 These are excellent wheels for your E36 track car. 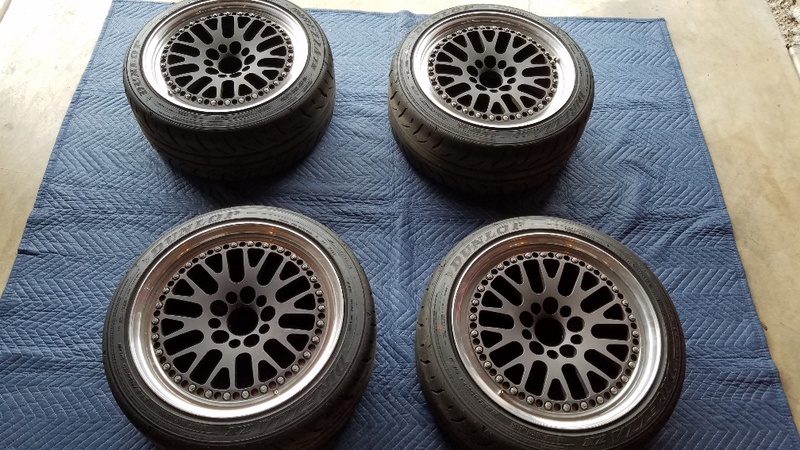 Ran them on my E30M3 (with spacers) and while they were fantastic on the track I found a set of Kosei K1 wheels that are a better fitment and match for my car.